A “stellar” intercept just last week by Western Australia-based Ramelius Resources (ASX: RMS) now tops the 2018 table of ASX and TSX-listed companies’ best drill intercepts so far this year. The data is provided by RSC Mining & Mineral Exploration, and all commodities are converted to gold-equivalent (Au-eq), based on selling prices for that week sourced from Quandl. Ramelius hit 20m at 645g/t gold from 28m - including 7m at 1,271g/t gold - in grade control drilling below the Stellar pit at its Mount Magnet operations in WA. 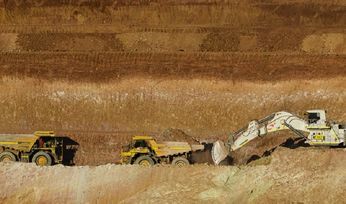 The company, which this month won over takeover target Explaurum after improving a previously snubbed offer, said the discovery was "testament to the ongoing potential for this operation to deliver extremely high-grade plunging ore shoots within and proximal to the known ore system". In terms of the RSC data, the intercept topped the chart at 12,900 Au-eq.m/t. It took the lead from Fission Uranium (TSX: FCU), which had held the top spot since January 3 with its 108m at 8.46% U3O8, equating to 11,334.5 Au-eq.m/t. At the time, the company said the intercept from Patterson Lake South ranked as one of the best drilled at the project and among the best in Canada's Athabasca Basin, home to the highest-grade uranium deposits in the world. Fission is now progressing towards prefeasibility at PLS. Those top two results were well ahead of the remaining eight, in a list dominated by gold miners. The companies were relatively evenly split between the two markets, while four of the top 10 intercepts occurred in Australia, three in Canada and one each in Mali, Papua New Guinea and the Democratic Republic of Congo. Another intercept from last week has leapt into third spot - Kirkland Lake Gold's (TSX: KL; ASX: KLA) 3,830.4 Au-eq.m/t from the Swan Zone at its high-grade Fosterville mine in Victoria, Australia. The company's 6.4m at 598g/t gold from 344.5m is among results expected to contribute to "a substantial increase" in the Swan mineral reserves. This year's ASX market darling Northern Star Resources (ASX: NST) took fourth place with its 3,787.52 Au-eq.m/t. The WA-based gold miner, which recently added the Pogo gold mine in Alaska to its portfolio, intersected 3.2m at 1,183g/t gold from 187.7m in February at its Kundana operations in WA. Also at the start of this year, uranium explorer NexGen Energy's (TSX: NXE) January intercept of 3,412.41 Au-eq.m/t at its Rook 1 uranium project garnered it fifth place. 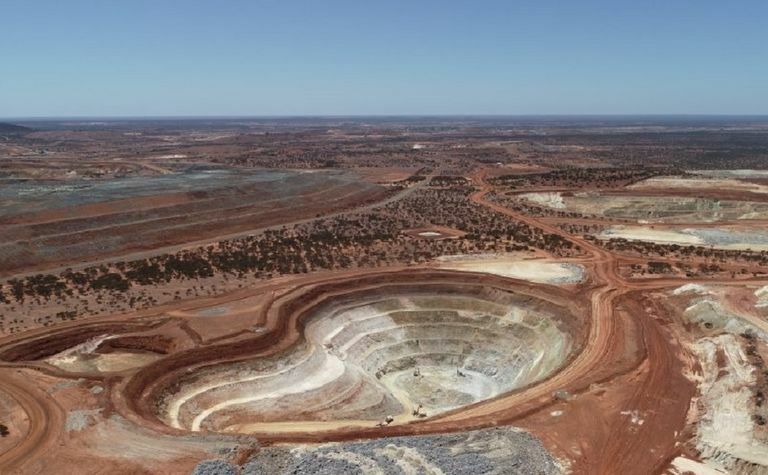 Relatively new WA gold miner Gascoyne Resources (ASX: GCY) was sixth with 2,988 Au-eq.m/t from September at Dalgaranga, where it had poured first gold in May. 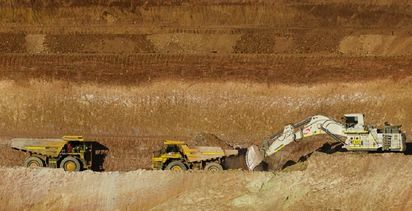 K92 Mining (TSXV: KNT), which is ramping up production at the ex-Barrick Kainantu gold mine in Papua New Guinea, took the seventh place with 2,835.02 Au-eq.m/t. In the eighth spot, Quebec explorer Osisko Mining (TSX: OSK) registered 2,770.2 Au-eq.m/t at its flagship Windfall gold project, where a bulk sampling programme is now underway. AVZ Minerals (ASX: AVZ) was ninth with 2,618 Au-eq.m/t at its majority-owned Manono lithium-tin-tantalum-iron project in the Democratic Republic of Congo. The company updated the project's Roche Dure resource in November and has a 5Mtpa and 10Mtpa scoping study underway. African-Australian gold producer Resolute Mining (ASX: RSG) took 10th spot with 2,465.05 Au-eq.m/t at Tabakoroni, about 35km south of its Syama gold mine in Mali. Sub-level cave ore production at the new Syama underground mine began last week, with the focus now turning to commissioning the mine's automation fleet. 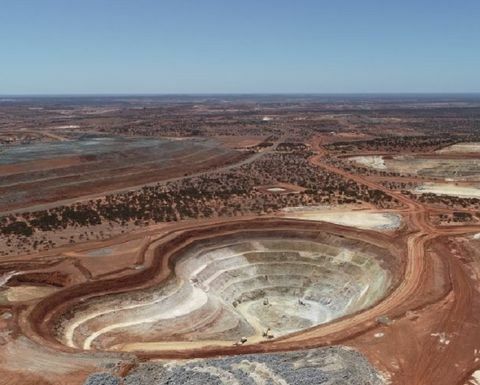 Kirkland Lake's entry on the list pushed BHP's (ASX: BHP) recently announced potential new iron oxide-copper-gold discovery 65km south-east of its massive Olympic Dam mine in South Australia out of the top 10 table. Its 425.7m at 3.04% copper, 0.59g/t gold, 346ppm uranium and 6.03g/t silver at exploration licence 5941 last month translated to 2,308.38 Au-eq.m/t and is the only intercept of those mentioned classified as exploration rather than resource development. The data was current at close of business on December 19, with this morning's intercept announced by Northern Star of 4.4m at 671g/t including 0.3m at 12,860g/t at Kanowna Belle gold mine in WA a likely contender.